Have the finest pewter finish? 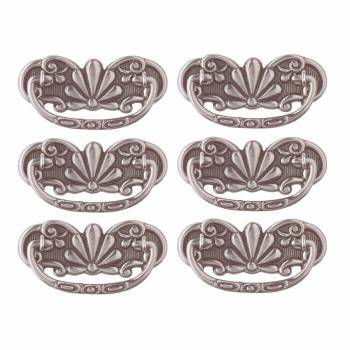 (6) pieces Antique Drawer Pulls, Scalloped Bail Pull. 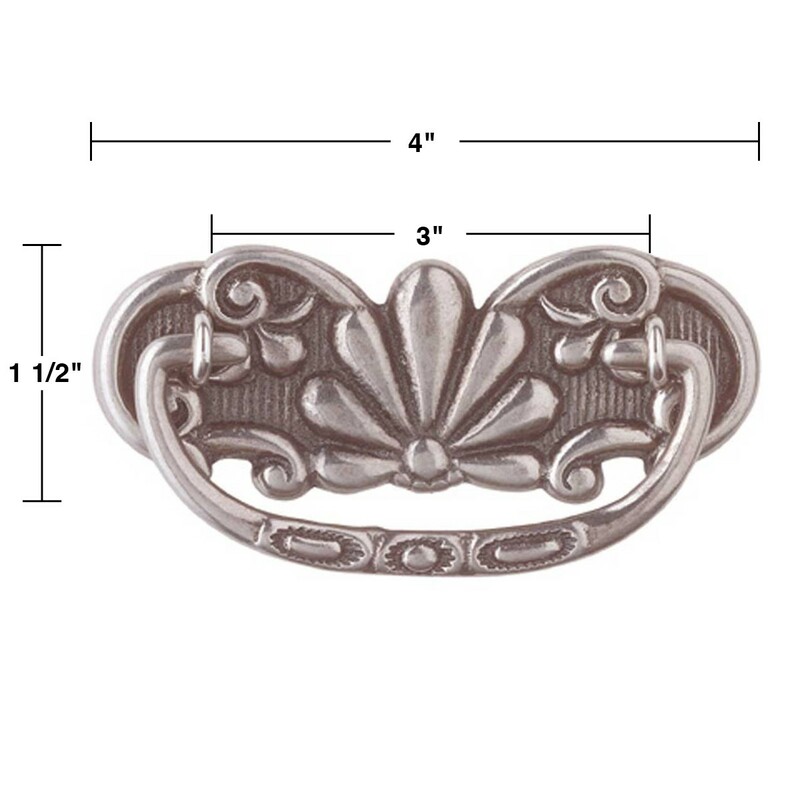 This attractive cabinet pull with a pewter finish has a scalloped fan shape that will adorn any drawer. It is 4 3/8" long x 1 1/2" wide and comes with a bail, 2 eyebolts, and 2 nuts. 3 in. boring.